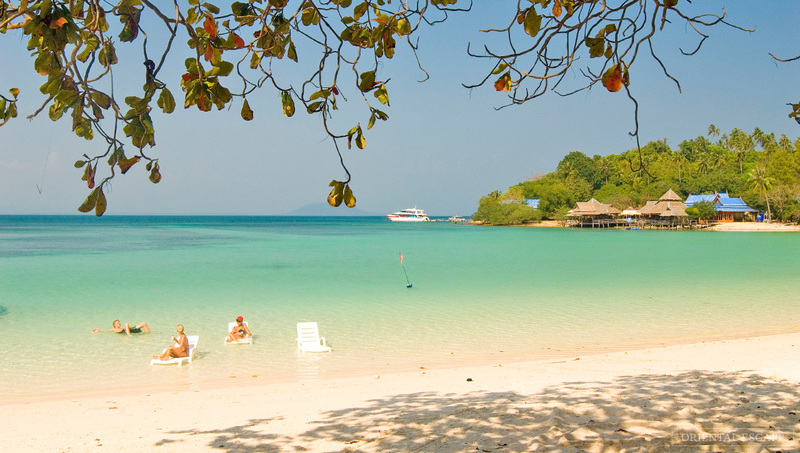 Koh Talu – The Turtle Island – is a 2.4 square kilometer private owned island in the Gulf of Thailand. The biggest part of the Island is nature and mountains. You will be picked up early in the morning and after a two hour drive you reach a little simple and cozy hotel at the beach side. You are offered a little breakfast and some juice before a boat is sailing a 20 minutes trip over the crystal clear water. The destination is a little pierce of Paradise. As you get closer you start to see palms, white sanded beaches and a little resort with beautiful bungalows. At the bridge you will meet the staff waving happy and welcome you. 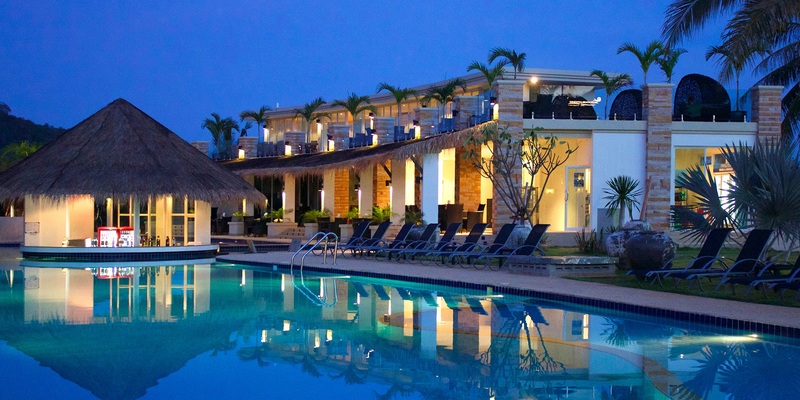 This nice resort has two kinds of bungalows and one restaurant and beach bar. We offer two different packages for this Paradise-tour. You can have one day and return or you can have an overnight stay. If you choose the one day trip it mostly about snorkeling and swimming in the big ocean. First trip is a boat trip near the island with a stop of 45 minutes to snorkel, swim and explore the colorful fish underneath the surface. Swim together with zebra striped fish, clown fish and many many more. You might as well be lucky to see a squid. After this stop you return to the resort. Here is a big buffet of tasty Thai and western food waiting for you. Lunch is included in the price as well as free juice, water, cake and fruits at the stay. When lunch is done you go for another 45 minutes stop where you can see an awesome coral garden and of course the wildlife of fish. After snorkeling here you sail past a big cave for photos and then return to the island. When you come back to the Island there will be a little time for relaxing, get some free fruit and juice and memorize the experience in peaceful surroundings. After a little while you will start returning to the boat and you trip home starts. When you pick a stay for one night in one of the adorable bungalows you have a lot of time for relaxing, swimming and snorkeling. You have of course same choice as one-day-trips, but there are a lot of activities as well. You could take snorkeling before lunch and after lunch you have time for massage, swimming or visit turtles. The resort is raising sea turtles from newborn until five years and letting them out in the open ocean when they are ready. It is a great moment where you can come very close to this beautiful creature. If you want to be active you can go for a trip in a kaya near the coast. The resort also takes you out for trekking to the cliffs and forest if you like that. When the sun is about to go down you can join in for squid-fishing for two hours together with local fishermen to catch fish and squids. In the restaurant there will be a great buffet ready for you. Afterwards you can enjoy cold beer, wine or cocktails at the bar listening to the silence and watch the waves hit the beach. Next day there will be served lovely breakfast in the restaurant. You can go snorkeling, swimming or tanning at the white sanded beach before lunch and returning at 2.00 pm. Koh Talu is absolutely a must see. It is an unseen pierce of paradise. You can book both trips at the resort and please let us know if you have any special wishes or romantic surprises and we will do our best to make this happen together with the staff at the resort at Koh Talu.